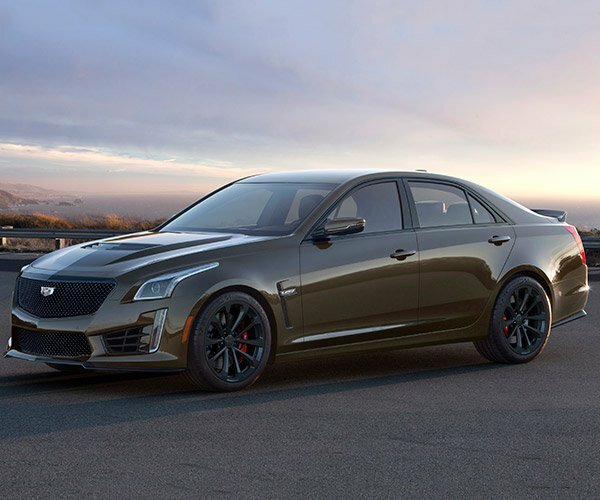 While Cadillac continues to be dedicated to its luxury sedan roots, it has gradually reimagined itself as a more modern automaker, emphasizing performance, technology, and even utility in its most recent vehicles. On a mission to complete its reinvention, Caddy plans on releasing a completely new vehicle every 6 months through 2020. If I’m doing my math right, that means we should see five new models by then. First up at bat is the new XT4. You might assume the XT4 is just a smaller version of the recently released XT5 crossover, you’d be wrong. 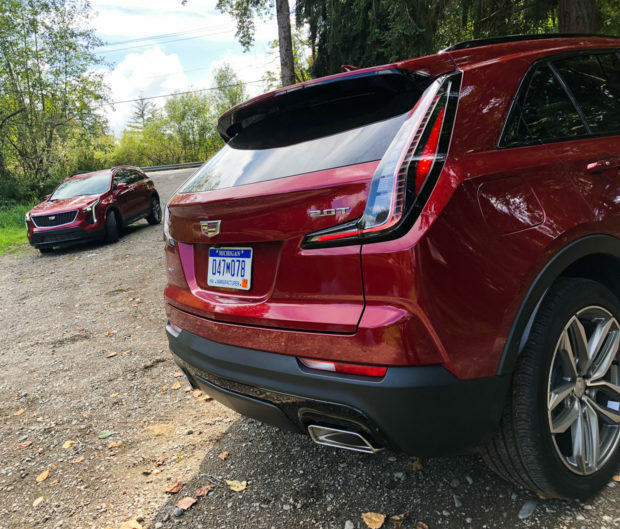 The XT4 is decidedly sportier, edgier, and something I didn’t think I’d ever use to describe a Cadillac – playful. There’s a sense of boldness and energy in the exterior design of the XT4 that feels like the first true reflection of Caddy’s new direction. 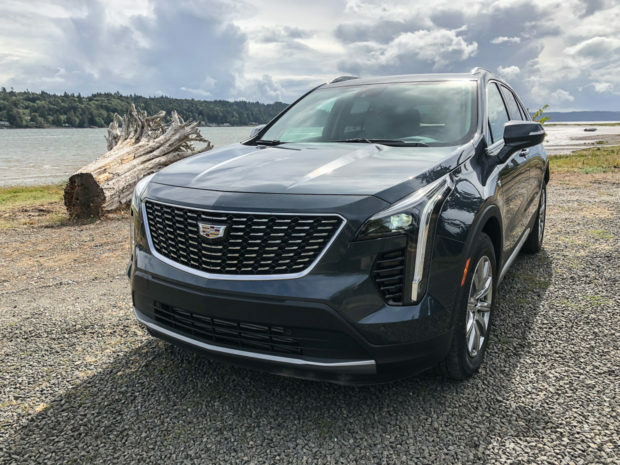 Most of the company’s current vehicles feel like evolutionary changes, but the XT4 feels completely fresh. 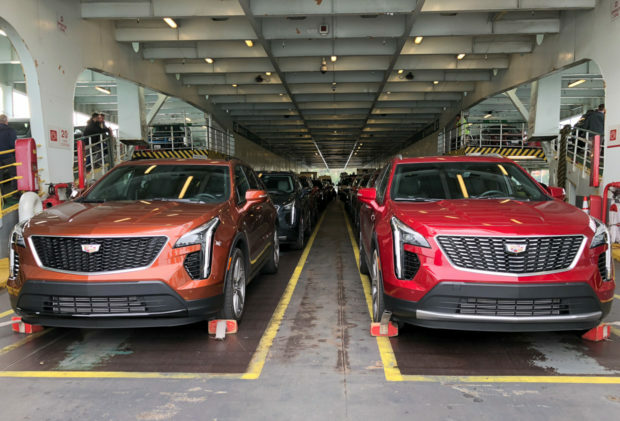 The XT4 will be offered up in three trim levels – Luxury, Premium Luxury, and Sport. 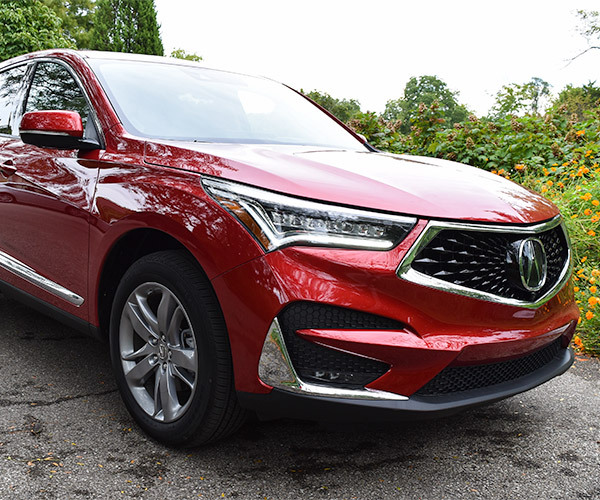 I spent my time in the Premium Luxury and Sport variants, two sides of the same coin, both smartly base-priced at the same $39,295, giving consumers the choice between a more sophisticated or sporty look through a variety of subtle cosmetic differences. For instance, the Sport has a gloss black grille and black accents, the Premium Luxury opts for bright metallic bits. The Luxury models have red tail lamp covers, while the Sport has clear ones, giving it a more technical look. Every model gets 18″ 10-spoke alloys to start with, though there are aesthetic differences depending on the trim you go with. For a more sporty look and ride feel, 20″ twin 5-spoke alloys are an option. Every XT4 will pack the same 2.0-liter twin-turbocharged engine. This is a brand new engine with significant upgrades in power and fuel efficiency. The engine pushes out 237 horsepower at 5000 rpm, and 258 lb-ft. of torque from 1500 to 4000 rpm. It continues to make 97% of that torque out to 5000 rpm. Off the line, the XT4 has a satisfying amount of oomph, and its acceleration is brilliantly smooth as it ramps up, thanks in part to a very well-behaved 9-speed automatic transmission. The engine also has another trick up its sleeve – an active fuel management system that can disable cylinders when they’re not needed, improving fuel economy. Expect an EPA-estimated 30 mpg on the highway with the FWD model, and 29 mpg in the AWD. 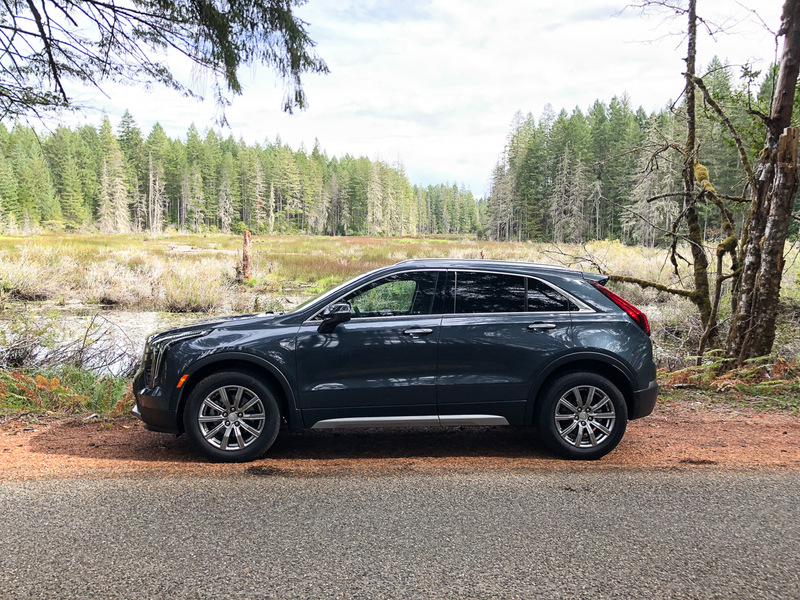 Taking the XT4 for a spin on some wonderfully twisty roads in the country outside of Seattle, I figured I’d be in for a typically cushy Cadillac ride. 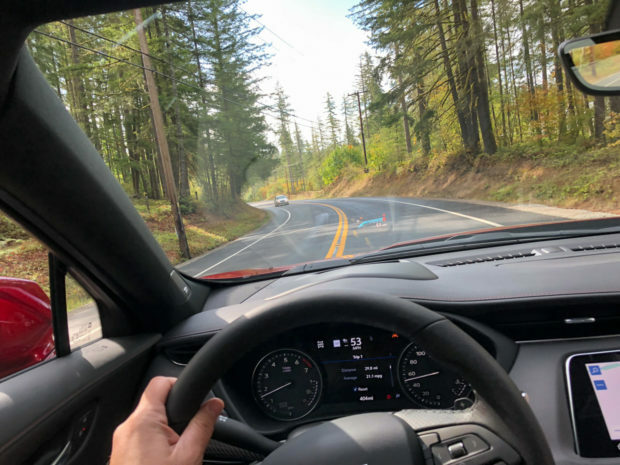 But to my surprise and delight, the XT4’s ride is far more dynamic and entertaining than I expected. I’m certain that part of this comes from the all-new chassis architecture, which shares more with the Chevy Malibu and Buick Regal than it does with the XT5. Though it does borrow the 5-link independent rear suspension from its big brother. 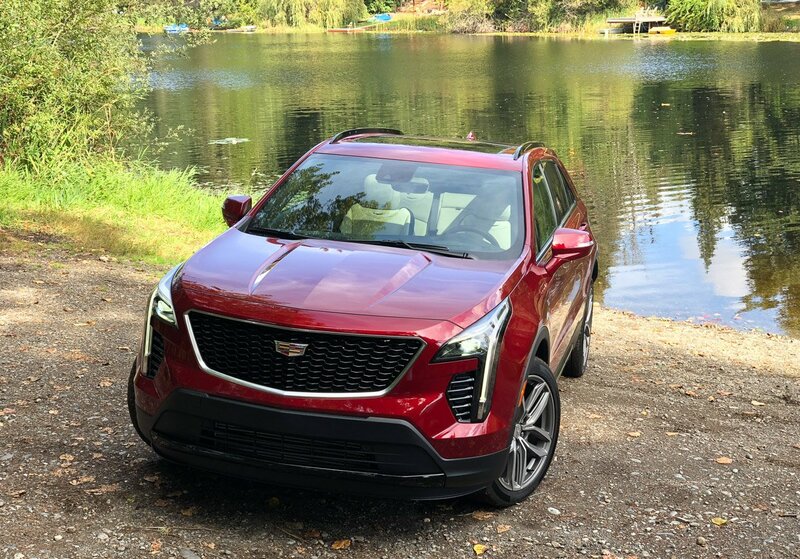 Combined with a MacPherson front strut setup, the XT4 corners well, with the kind of flatness and limited body roll you’d expect from a sedan, not a crossover utility vehicle. There’s also an available active sport suspension which dynamically adjusts your ride, softening the ride on smooth pavement, and sharpening up when you need more direct control. Front-wheel drive is standard on the XT4, while a $2500 premium gives you all-wheel drive, which I highly recommend not just due to its ability to deal with slippery terrain, but the positive influence it has on overall driving characteristics. Thanks to a twin-clutch AWD system, it can send torque independently to either rear wheel, improving cornering in much the same way as a torque-vectoring differential in a sports car might. 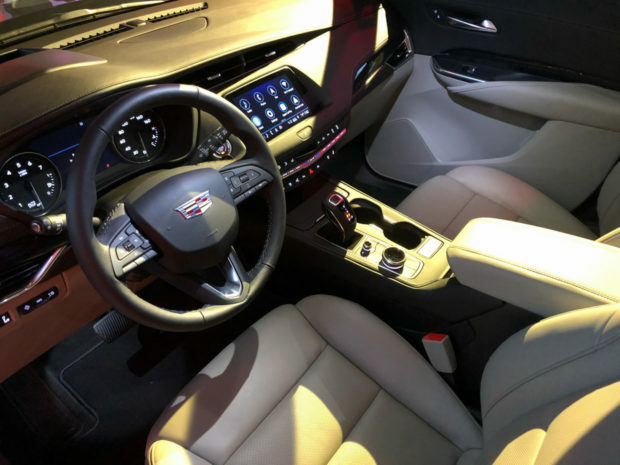 Cadillac did a great job with insulating the interior of the XT4 as well. It’s quiet and calming inside, with the only sound making its way into the cockpit being the occasional sound of the turbos spooling up under hard acceleration. 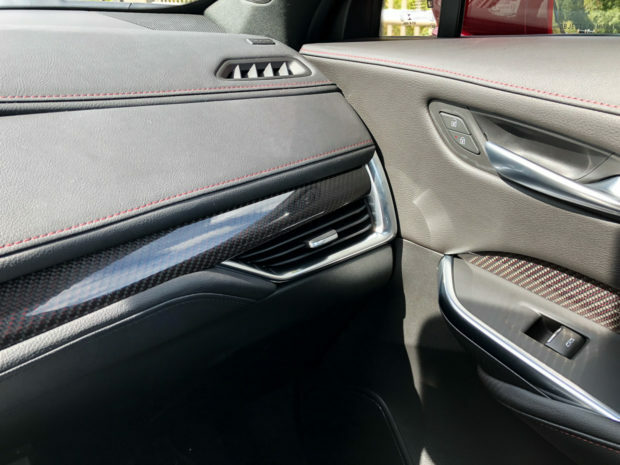 Front visibility is very good, thanks to nice and skinny “A” pillars, while you can get the best look out of the back if you opt for the digital rearview mirror, which gives you a view unobscured by passengers or cargo. The interior if the XT4 isn’t as flashy as some other Cadillac models, but I’d much rather have the clean lines and quality materials here than the shiny piano black plastic fingerprint and dust magnet that’s been the hallmark of Cadillac interior design until recently. There’s leather aplenty, real aluminum, stitched dashboard trim, along with either dark wood or aluminum accents on the Premium Luxury, and wood or color-tinged carbon fiber on the Sport trim. Everything here is purposeful and well placed. 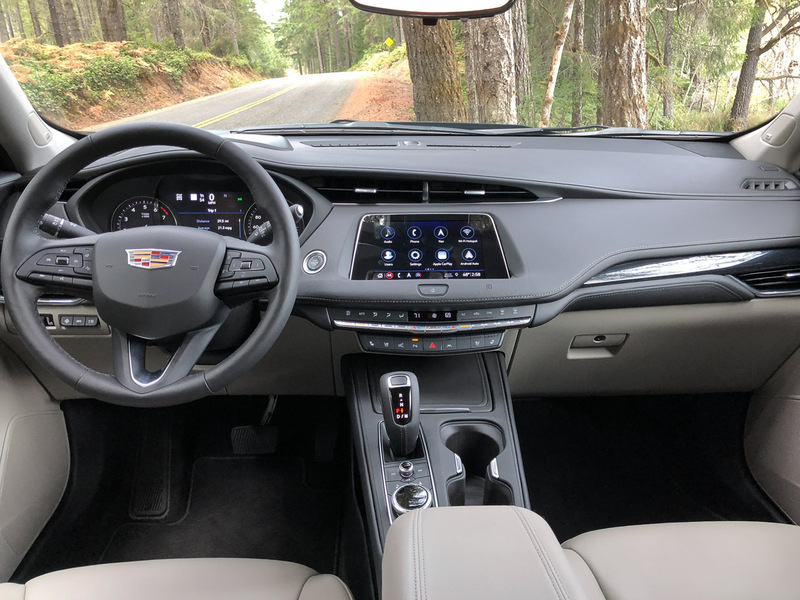 The infotainment system says goodbye to the pure touch interface of Cadillac’s CUE system, replacing it with a clean, modern, and intuitive 8″ touchscreen, combined with physical buttons and dials for climate, audio, and safety controls. 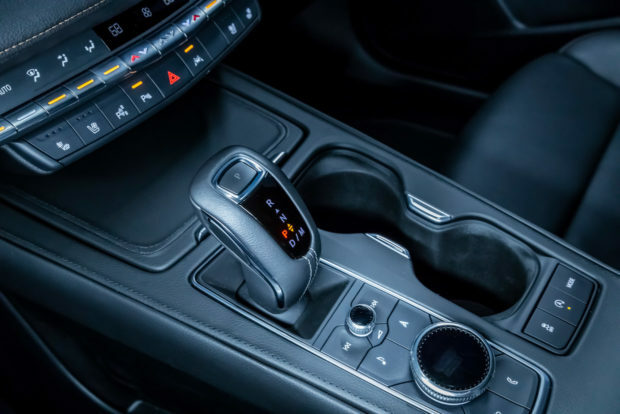 In addition to the touchscreen, there’s a center console dial for quickly navigating through screens, along with voice-based control, giving users three different ways to interact with the system, depending on their preference. While Qi wireless charging is nicely integrated under the center armrest, one minor misstep is the relative dearth of USB ports – there’s just one for each row. These days, I think one per passenger should be standard, especially on a luxury vehicle. There’s plenty of available technology for safety and convenience, including blind spot monitors, rear cross-traffic alert, adaptive cruise control, an HD surround camera, lane keep assist forward and reverse emergency braking, a heads-up display, adaptive cruise control, rear park assist, automatic headlamps with tunnel detection, and more. Keep in mind that many of these features are options, so can add a bit to the sticker. The standard 7-speaker Bose audio system offers crisp and punchy sound without adding to the price. Interior comfort and space is good overall for a vehicle of its size. When fully tricked out, the front seats get heat, ventilation, and massage features, while the rears get heat. 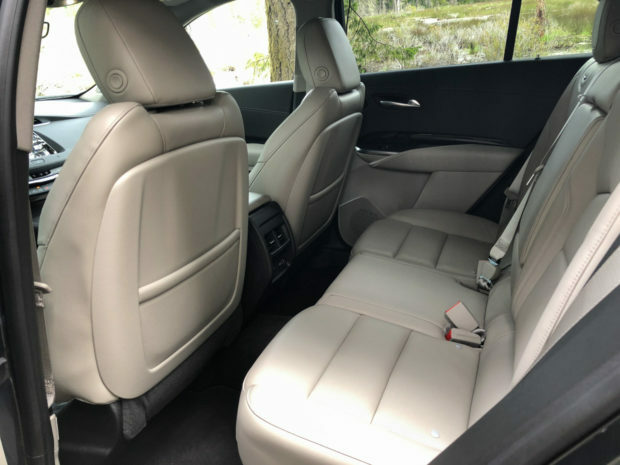 There’s good room up front for drivers of all sizes, while the rear seat will hold two adults and a kid in between without a problem. Knee room is better than most small crossovers, though at 6-feet-tall, I only had about an inch of headroom in the back seat. The back row offers a 60/40 split fold giving way to 48.9 cubic feet of cargo space when flat. 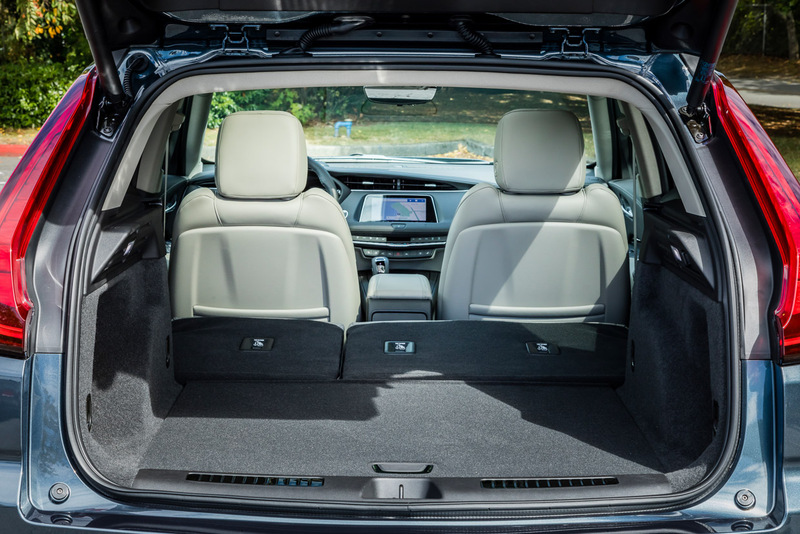 With the seats in use, the 22.5 cubic feet still far exceeds sedans, giving the XT4’s form factor yet another advantage. 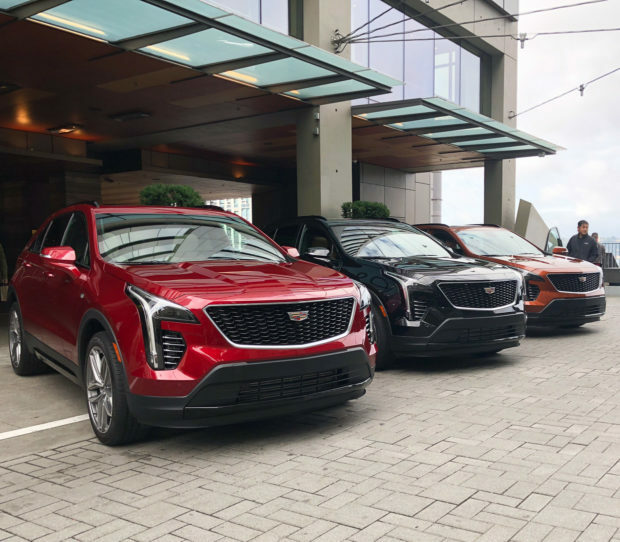 The compact crossover space is getting more and more crowded, so Cadillac will have to work hard to market and promote the XT4 so it gets all the test drives it deserves. 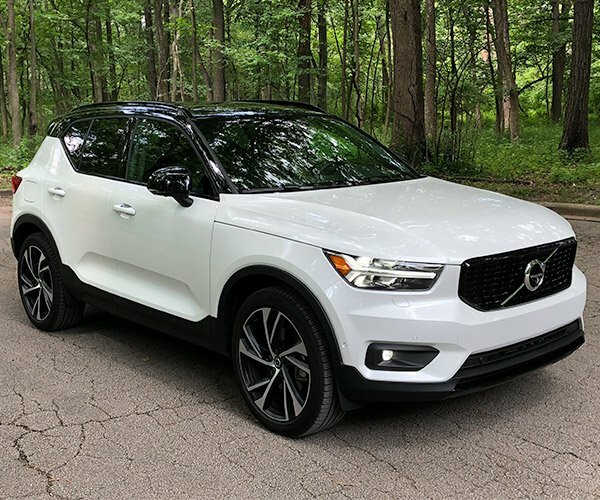 It’s a very good vehicle overall, offering a distinctive style and attitude, sharp handling, zesty performance, solid fuel economy, and good space for passengers and cargo given its size. If the XT4 represents the shape of things to come from the new Cadillac, I say bring it on.